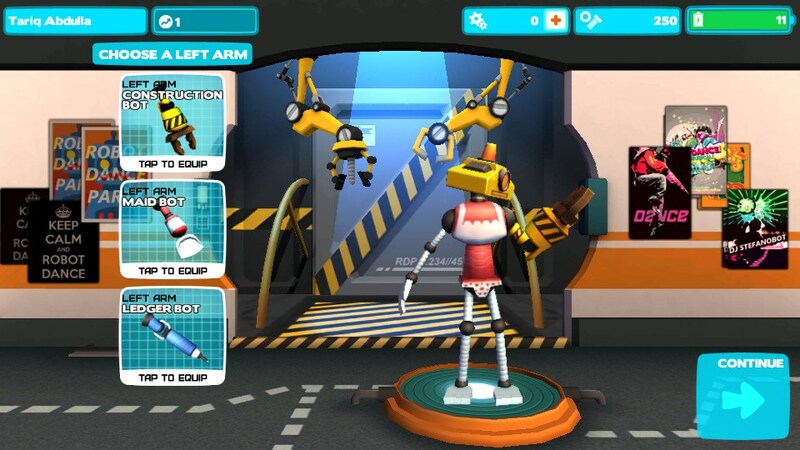 Robot Dance Party – Games for Android 2018 – Free download. 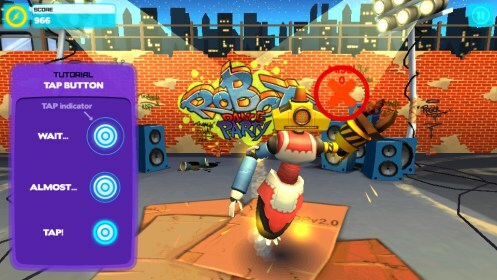 Robot Dance Party – Funky robot street dancing. 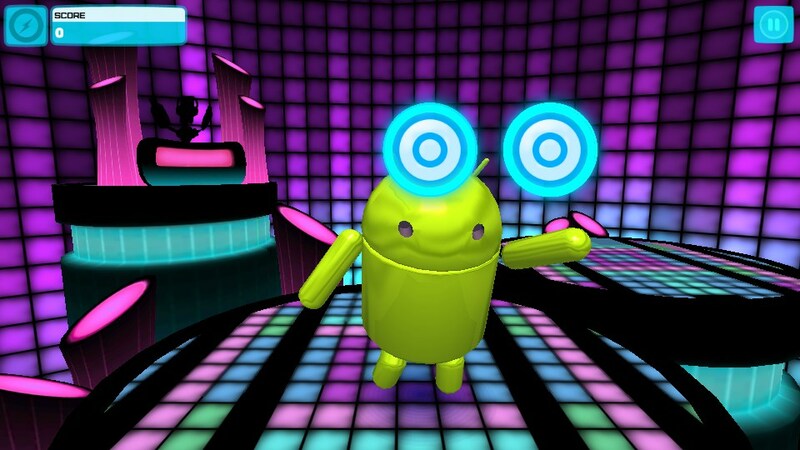 Robot Dance Party for Android is a game where you piece together your own robot and then help them shake their mechanical tail feathers to a groovy soundtrack. 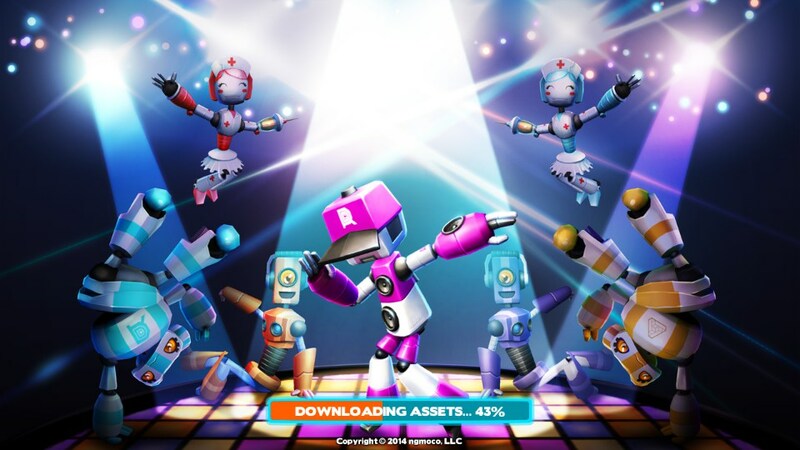 The controls in Robot Dance Party require you to use two fingers to perform a variety of actions such as repeated tapping, following a path, holding for a length of time etc. It may sound easy, but when you need to do different things with each finger, you'll understand why robots are destined to become better at dancing than us. You'll have a chance to complete a special move by tracing your finger around a circuitboard. 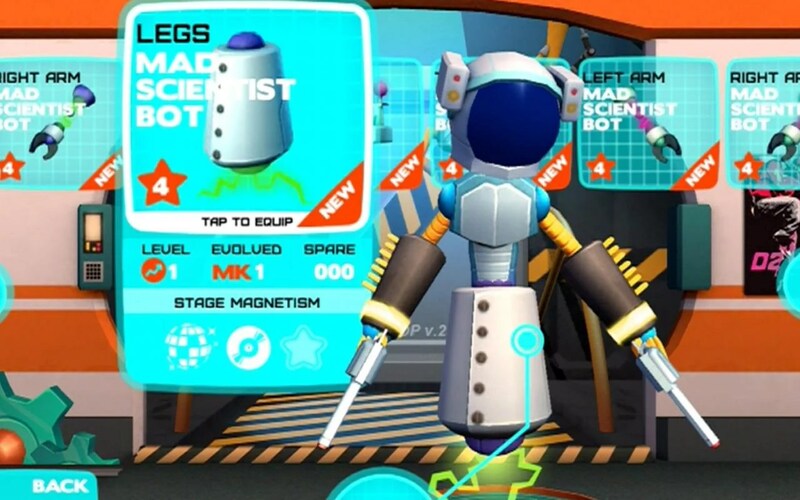 You can change your robot at any time, and completing dances helps to upgrade parts, and unlock new parts and new music. Better parts will score more points, and some robot parts are better at certain dance moves than others. Watching your robot dance is the fun part, and its enough to cheer anyone up. At least to begin with. It does soon gets a bit monotonous, as the dances don't really speed up, and take a while to complete. The only other downside to this game its that it relies heavily on an internet connection, to download both your stored information and new game content. 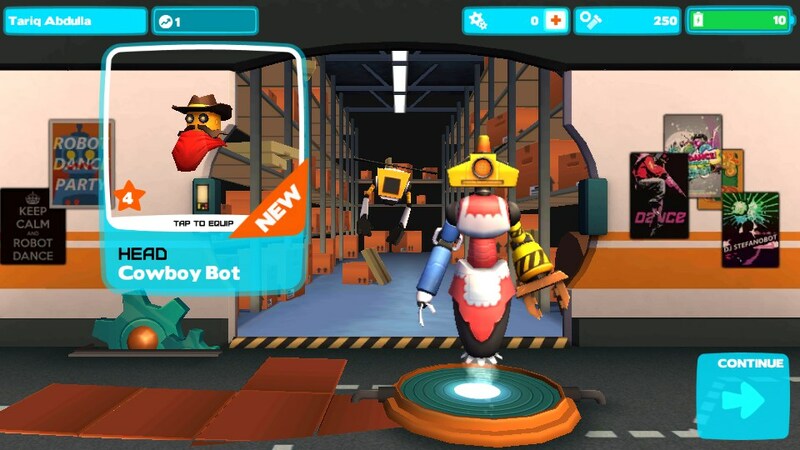 Robot Dance Party combines a fun idea, with excellent graphics, responsive controls, and the funkiest robot-dancing soundtrack since Daft Punk. It's easily the best robot dancing game I've ever played.